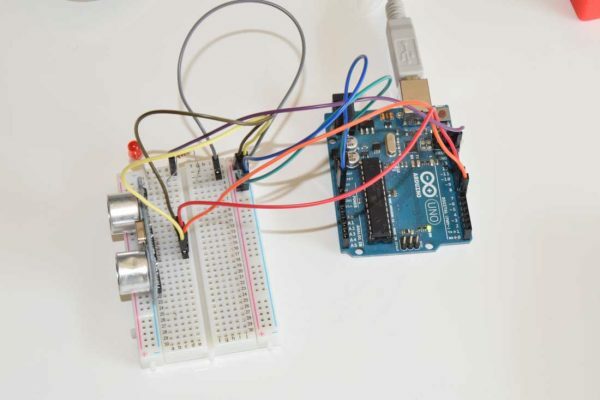 Arduino is more powerful than you think! 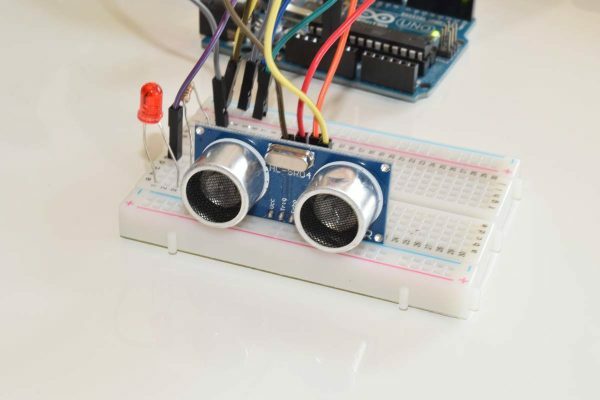 Today we will use the Ultrasonic Distance Sensor called HC-SR04 and test it to see how accurate it is. 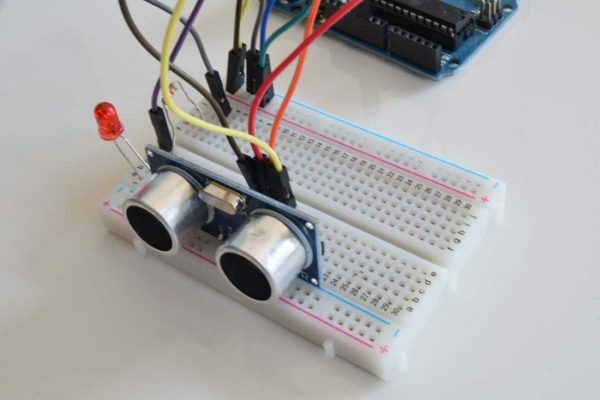 First of all we will build a very simple setup and add a red LED and program it to flash red when the distance has reached. 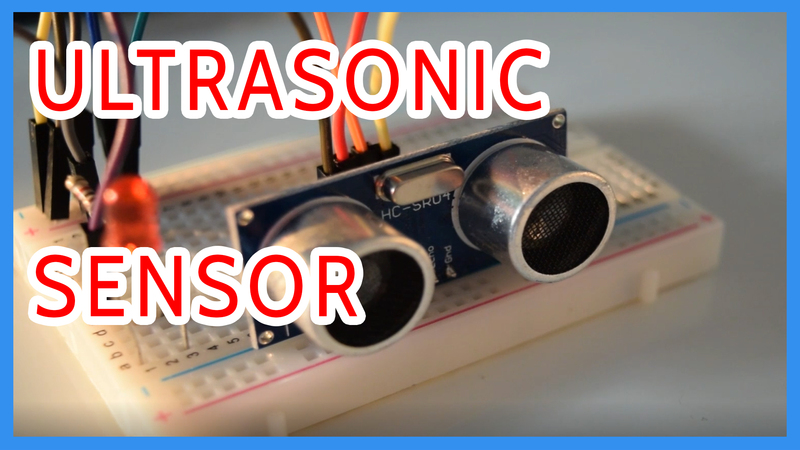 I would say that this Ultrasonic sensor is quite accurate but not for very precise stuff, it has limit and the minimum distance it can measure is 2cm (0.78 inch) and maximum is 400cm (157.48 inches) also it cannot detect decimals like 2.5cm or 2.7cm it’s either 2cm or 3cm.